This past spring I was contacted and asked if I was interested in coaching a high school team. I had been trying to coach a team for a number of years without much success. A couple of years back; I had coached a private middle school to a 3-5 record. The next year, I was not asked back to coach. I’d like to think that being outside the central Seattle area and never having played at the elite level put me at a distinct disadvantage for gaining a coaching position here in Seattle (it had nothing to do with my 3-5 record). After all, we love to think that our failures are not our fault. All the open coaching positions were being grabbed by players far more skilled than I was. It looked to me like I would have to wait for a coaching opportunity that no one else wanted. As it turns out, there were two nearby high schools that wanted to start teams for the upcoming co-ed spring league. One of the positions was paid and the other was volunteer. I quickly applied for the paid position, but I was too late. It was already taken. The other school, the one with the volunteer coaching position, had turned me down earlier in the fall. Back in the previous fall, I got word that a nearby school was looking to start a team. I went to the school the next day and offered to coach their team. I was told the position was filled by some coaches the students themselves had selected. Still, I filled out a volunteer application and waited to be contacted. The contact never came and so I resigned myself to a still-longer wait for a coaching opportunity. While I didn’t get the position, I had to admire that these students had taken it upon themselves to start a team. They had got their parents involved and were actively working to generate interest among the other students for a team. Things had gotten to the point to where some students were staying after school and tossing the disc around. Word got to me later that the coaches they selected were showing up on occasion and leading the students in some drills. Still, the turnout wasn’t enough to field a team and more work needed to be done. There are a lot of obstacles to starting a team. There’s no team equipment to speak of; no discs, no cones, no pinnies, no nothing. Worse still, Ultimate is not a recognized sport with the Washington Interscholastic Activities Association. Because of this non-recognition, the local school district wouldn’t support a team. If you’re not baseball, basketball, football, soccer or track; the district seems to discourage your development. All you can expect is to be ignored. So, while the school administration was supportive, the school district wasn’t going to provide any help. This is where the parents stepped in. 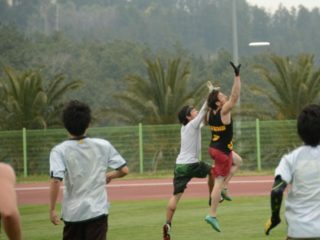 The parents and the students created a Frisbee Club at the school and wrote a proposal to the school’s Parent-Teacher-Student Association for startup financial support and team sponsorship. DiscNW stepped up with a donation pledge of discs, cones and pinnies. My first task as coach was to define practice times and durations. I found out we had three weeks from our first practice until our first game. I suggested to the parents that we practice three times a week. The parents felt that this was too many practices because of student class loads, instead proposing two days a week. We compromised by having practices three times a week initially and then, after the team began to gel, we could cut back to two days a week. For practice durations, I felt 90 minutes was enough time. In retrospect, I was wrong on every count. It turns out that the best teams play 5 days a week: three structured practices, a conditioning day and an informal “just the kids playing” day. Practice sessions typically last 2 hours. These were my first set of lessons in coaching high school. There would be so many more to come. As you can see, starting a team isn’t for the meek. In our case it took motivated students, parents who support their children, a school that supports their students, a parent-teacher-student organization willing to front the bucks, and DiscNW to donate supplies. Getting the team started was only the beginning; now the students needed to learn how to play the game. When I interviewed for the coaching position, I listed my three goals for the upcoming season. 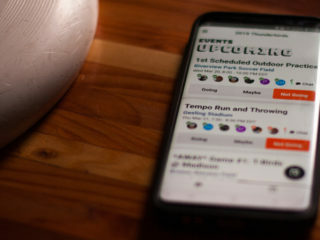 They were to make sure the seniors were prepared for college Ultimate, to establish a winning tradition at the school, and to build a program infrastructure where each new year builds upon the success of the previous year. All this would need to be done while espousing the underlining spirit of the game. I chose these three goals carefully. Keeping these promises over the following months took a lot of effort. Emphasizing the seniors was of paramount importance. 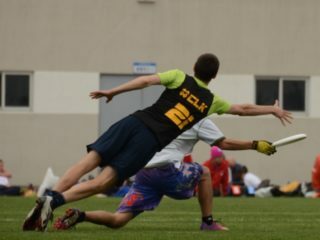 My son Ray (Sockeye, #99) has told me that elite Ultimate players are created or lost in high school. High school is where players learn their style and where their attitude is shaped. It is a solemn responsibility for the HS coach to properly prepare a player both physically and mentally for the future. 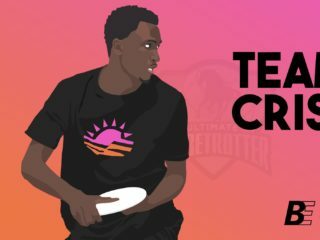 I want every player who graduates from the AHS Ultimate team to be a welcome addition to their next team. The second priority is to create a winning program. Now when I say win, I don’t mean “do whatever it takes to win even if it means selling your ailing grandmother as an organ donor and using the money to buy an all-star outside striker” win. By winning, I mean build an environment of respect for your team and its players. Build a team that even your opponents would want to play for. Then when the word gets out to the student body that their school’s team is both fun and successful, steady growth is assured well into the future. The third goal is to make the program sustainable. A successful business must outlast its bosses as well as its employees. If a business doesn’t prepare for the future, it probably won’t have one. 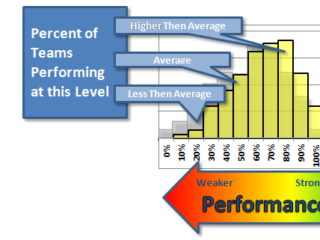 A successful sports team has the same challenges as any business. The first coach of a new team should build the team and create an infrastructure that will carry it forward even after the coach leaves. But enough of that stuff, let’s get to some actual coaching action. Segment 2 goes over first team practices and staging teams to learn.